Progressive Access is the route that enables a trainee aged 21 years to go for a full unrestricted motorcycle licence, rather than waiting until they are 24 years of age. You have to start this route at 19 years of age if you want to ride any size of bike at 21. If you are younger than this or do not want to go for an unrestricted licence at 21 years of age refer to the Restricted Access page. This means that at 21 years of age you can gain a full motorcycle licence for any size of motorcycle. The training and tests are the same as the direct access (refer to the DAS page for more details on the training and tests). With Progressive Access, however, you will sit the tests at 19 years of age on a bike at least 395cc and between 25kW-35kW, then two years later sit the tests again on a 595cc bike which is over 40kW. The DSA have implemented age restrictions for different sizes of motorbike which means at younger ages your motorcycle licence will be restricted to a lower category. If you are over 24 years of age refer to the DAS page. 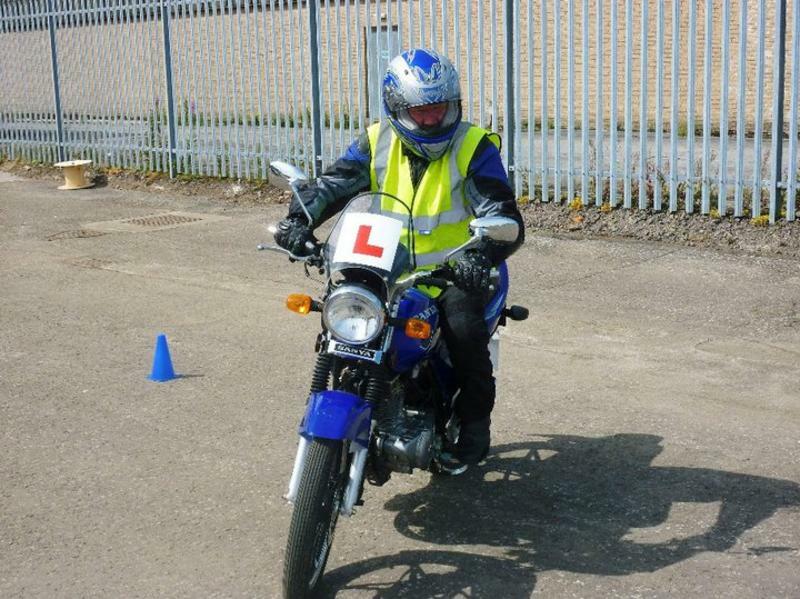 For each age there are three tests that trainees must pass to gain their full motorcycle licence; Motorcycle Theory Test, Module 1 and 2 practical tests. These tests are also describe on the DAS page. The tests remain the same for Restricted Access, Progressive Access and DAS the only difference is the size of motorbike you sit them on.